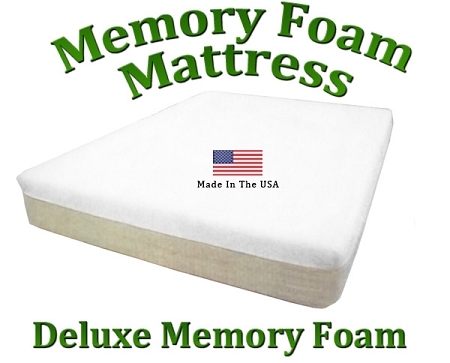 Our memory foam mattresses are made in the USA! They use memory foam or temperature sensitive foam to respond to body weight and temperature. The memory foam mattress adjusts to the body's individual contours to reduce pressure on sensitive areas of the body. This sponge memory foam is the ultimate comfort material that reduces tossing and turning, giving you the ability to have a more healthful and restorative night's sleep.